Per Rule 3.12: All participants must make space and provide a power connection for RALLY COMP. !!! RALLY COMP UPDATE- IMPROVEMENT TO POWER CONNECTOR AND CHANGE IN SPEC !!! One of the recent upgrades to the RallyComp is a new more robust heavier gage power cable with a fully waterproof power connector. This new connector will NOT mate with the prior 3 pin connector. In order to facilitate this transition for the 2016 baja rally, rally comp will supply a 40" pigtail with stripped leads to all competitors at no charge . The new pigtail can be wired in to the location of the current power connection or direct to the battery (2-3A fuse recommended). RallyComp will have a limited supply of adapter cables available to competitors that are unable to make this transition in the time allotted. 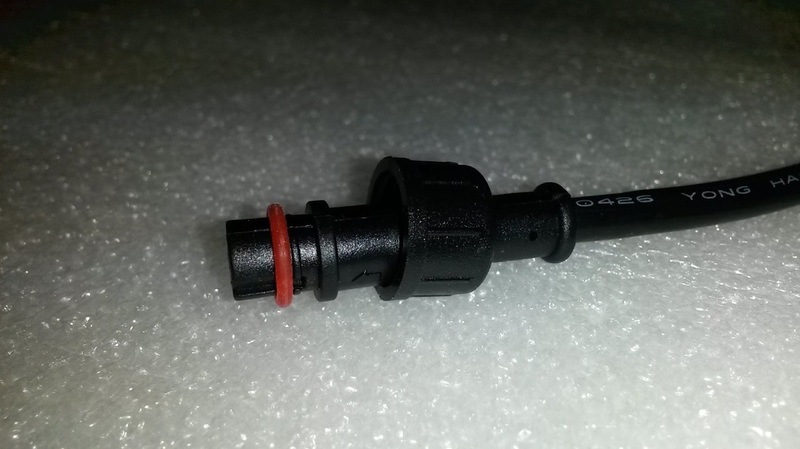 One of the recent upgrades to the RallyComp is a new more robust heavier gage power cable with a fully waterproof power connector. This new connector will NOT mate with the prior 3 pin connector. In order to facilitate this transition for the 2016 baja rally, rally comp will supply a 40" pigtail with stripped leads to all competitors at no charge . The new pigtail can be wired in to the location of the current power connection or direct to the battery (2-3A fuse recommended). RallyComp will have a limited supply of adapter cables available to competitors that are unable to make this transition in the time allotted. We apologize for this late change but it is necessary to enhance the harsh environment reliability of the power connection. All US, MEXICO AND CANADIAN ENTRANTS WILL BE RECEIVING THEIR NEW CABLES BY MAIL THE SEEK OF SEPT 22, 2017. ENTRANTS ARRIVING FROM OUTSIDE OF NORTH AMERICA WILL RECEIVE THEIR NEW CABLES AT SAN NICOLAS HOTEL & CASINO AT TECHNICAL INSPECTION AND SHOULD BE PREPARED TO HARDWIRE THE CABLE INTO THEIR CONSOLES.